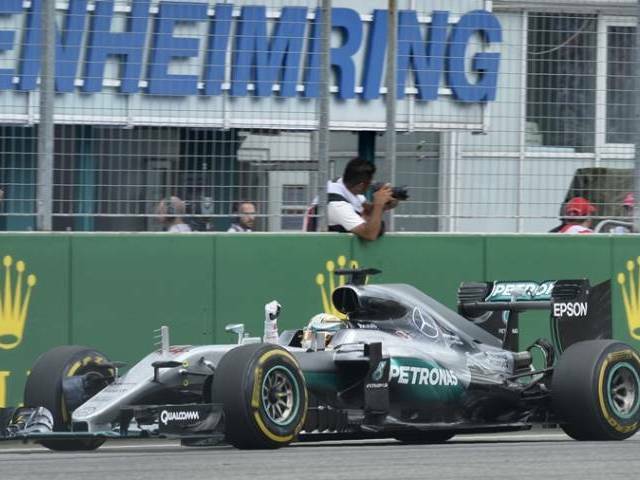 drivingandlife: HAMILTON BRILLIANT - LAST ROW TO PODIUM ONE! The German GP was as big an upset as you're likely to see in today's Formula One race scripts. Vettel leading in front of his home crowd slithered off the track in the late rain, whilst Danny Ricciardo suffered an engine problem for the second time in three races. I have to hand it to Lewis Hamilton who persisently powered on after starting from the back row of the grid; grabbing super soft tyres when heavy rain began, and finally taking the chequered flag just seconds ahead of Valteri Bottas to give the Silver Arrows a 1-2 victory on home soil at the Hockenheimring. Lewis regains the lead in the drivers' championship after cool-headed driving decisions, and a rare mistake by Sebatsian Vettel.